A Korean creation, snowflake ice cream has made its way to the city with Snow House, a small outlet in Bandra. 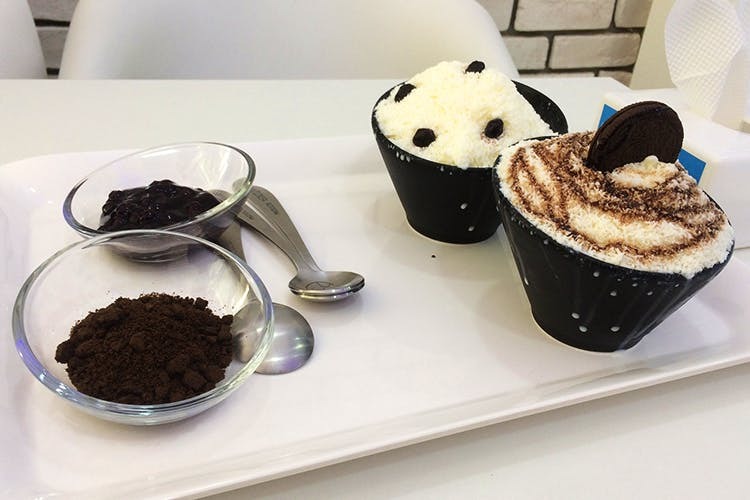 A Korean concept where shaved ice is topped with a variety of fresh chopped fruit, sweet red bean paste or even Oreo, Snow House comes as a breath of fresh air for those who don’t like creamy ice creams. The concept is similar to a yogurt place. You can either opt for just the base at INR 150 or top it with Oreo, red bean, strawberry, banana or kiwi. In case you want it to be healthy, you can choose to top it with Acai berry or Moringa at INR 250. Bonus: They serve the toppings on the side, saving you the pain of deciding whether you want the toppings throughout the whole experience or want to eat just the toppings for a bit. It’s a novel concept for sure and if you are looking to go to the icier side of ice cream, Snow House is cheerfully waiting opposite Eddies.